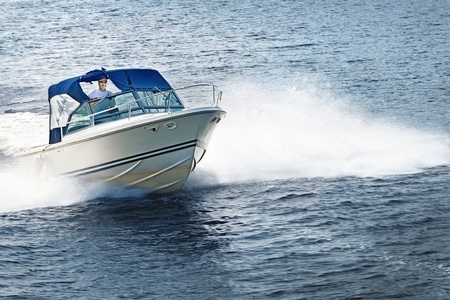 Boating Accident Season is here | Tario & Associates, P.S. Summer Sun Here We Come! Boating Accident Season is here. It’s summer and in the Pacific Northwest we know the good weather won’t last long so now is the time to get out and enjoy the water. For many people that means dusting off the boat that has been sitting in storage through the cold weather. Although boating is usually safe and fun, we should be aware of the risks of boating accidents and the types of risky behavior we should avoid. According to the US Coast Guard, in 2010 alone, there were 4,604 reported recreational boating accidents resulting in 672 fatalities and 3,153 injuries. Sadly, twenty-one of these deaths were children under the age of thirteen, many of whom were wearing life jackets. In addition, these accidents were responsible for approximately $35.5 million dollars of property damage. 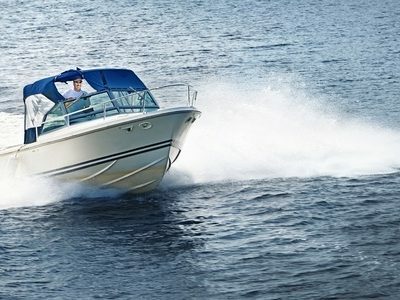 The fatality rate for boating accidents in 2010 was 5.4 deaths per 100,000 registered recreational vessels, a slight decrease over the prior year’s rate of 5.8 deaths per 100,000 registered vessels. Three-quarters of boating related deaths involved drowning; of those victims, 88% were not wearing a life jacket. Most boating fatalities occur in the afternoon to early evening time slot, in an open, uncovered motorboat, with a middle-aged driver. 1/3 of boating accidents involve a driver under the influence of alcohol. Boating operators should know that similar to the way that a drunk driver can get a DUI on the road, a boat operator can be found guilty of steering a boat while under the influence. Unfortunately the stigma around drunk driving a vehicle has not extended to the boating community where drinking and boating is still a significant problem. A simple mistake due to impairment can lead to serious injuries or death. It is not uncommon for passengers to fall off their own boats because the operator is speeding or driving recklessly. Severe weather such as heavy rains, winds, or large wakes from other vessels can throw passengers overboard. Boat engines produce toxic carbon monoxide which could result in injury. Inexperienced boaters ill prepared to handle dangerous or unfamiliar situations can cause severe harm to passengers or other individuals in the water. When propellers or other boat parts malfunction. If a person’s negligence resulted in the injuries you sustained on the water, you could be eligible to receive compensation. What is Boating Operator Negligence? Operating the boat under the influence of drugs or alcohol. Not paying attention to the operation of the vessel. Failing to keep a proper lookout. Causing danger from the vessel’s wake. Allowing passengers to ride on parts of the boat, they shouldn’t be such as the bow, gunwales or transom of a vessel (when this happens, individuals are at high risk of falling overboard).